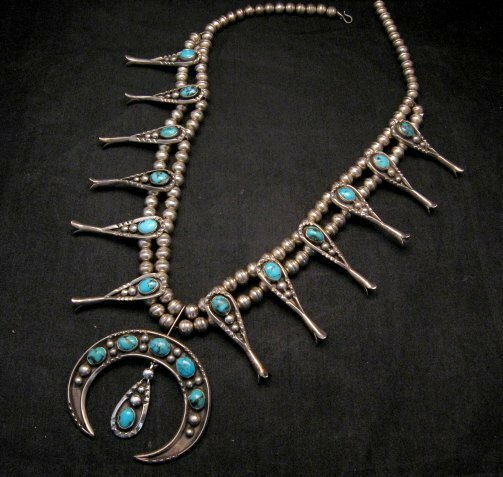 Up for your consideration is this old pawn Native American silver and turquoise squash blossom necklace. 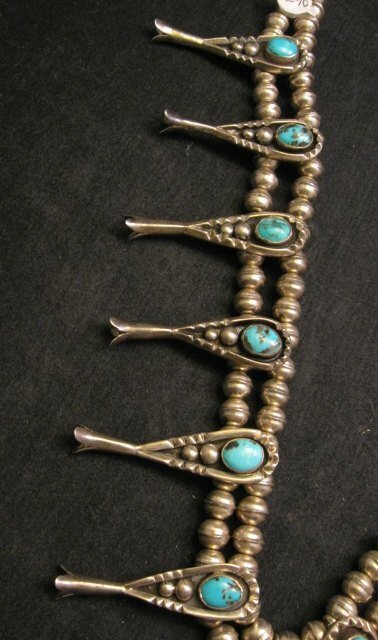 The turquoise seems to be Persian turquoise. 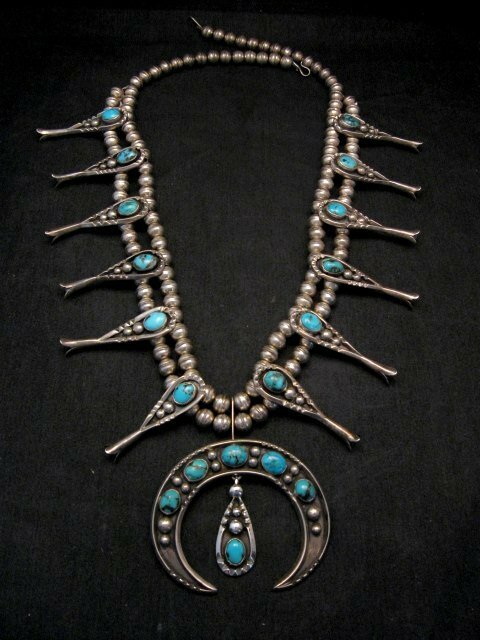 The necklace dates from the 1970's. 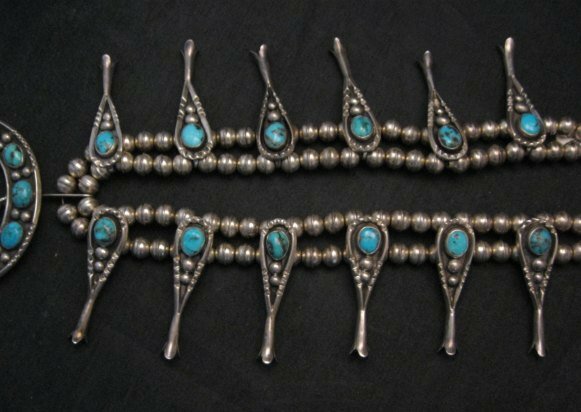 The necklace is double stranded with handmade silver beads, 12 squash blossoms. 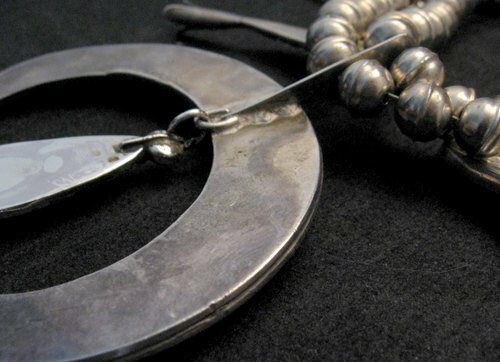 The necklace is unsigned and unstamped, but it tests positive for coin silver or better. 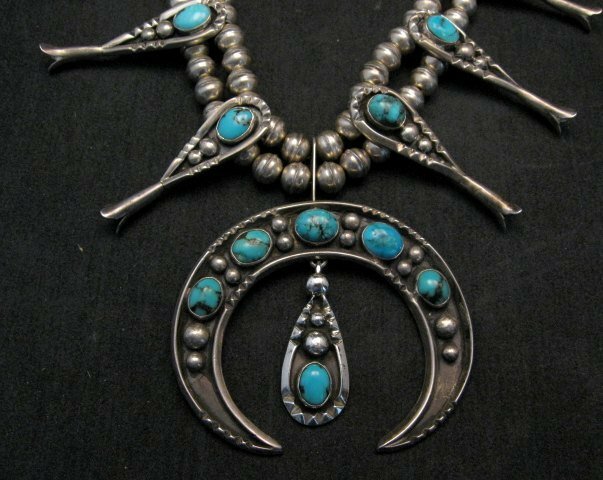 Note: While the necklace was in our care, the center dangle inside the naja broke off and we had it professionally repaired by a local reputable silversmith. 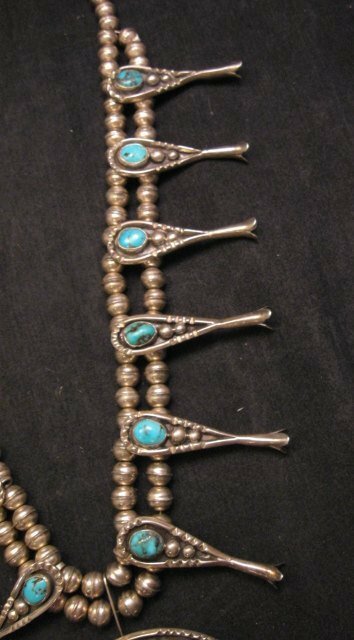 The repair is not noticeable except from the back of the naja and we are mentioning it to let you know that although the necklace is old from the 1970's, the repair was done 8/25/2017. The repair does not detract from the appearance or the value of the necklace.